If you’re looking for a replacement objective for your microscope, then you’re definitely in the right place. 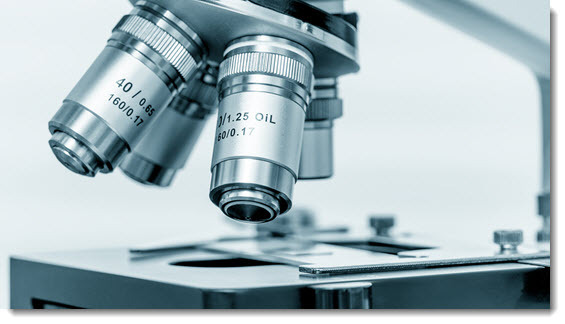 We sell high-quality used microscope objectives for a wide range of microscope models. Here are a couple of the used Leitz microscope objectives that we currently have in stock. If you don’t see what you’re looking for, please contact us. 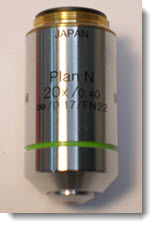 40X microscope objective. Phaco 2. 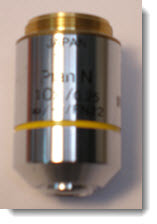 160 mm diameter. 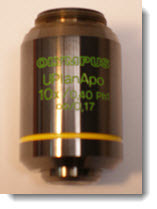 10X microscope objective. Phaco 1. 170mm diameter. 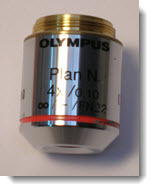 Below you’ll find a small selection of some of the Olympus used objectives that we currently have for sale. If you don’t see what you’re looking for, please contact us. 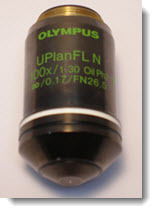 100X oil microscope objective. Phase 3. 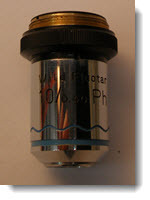 10X microscope objective. Phase 1. 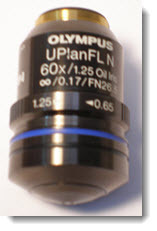 60X oil microscope objective. Iris. 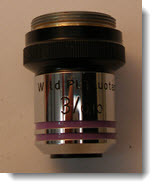 Below you’ll find some of the used Wild microscope objectives that we have available. If you don’t see what you’re looking for, please contact us. Here are some of the used Zeiss microscope objectives that we currently have in stock. If you don’t see what you’re looking for, please contact us.